A lot of people are talking about a new technique called dry needling that has been shown to be effective on muscle tendon injuries. 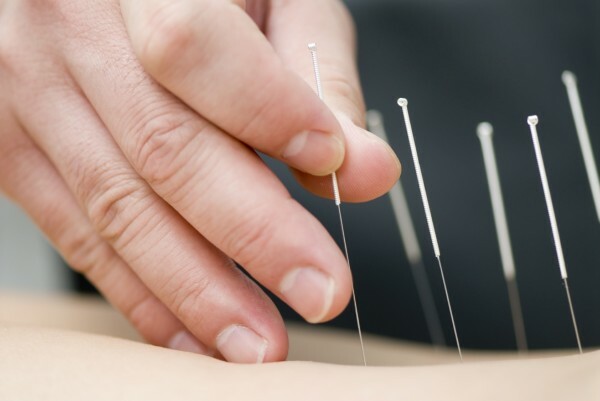 Though it’s not acupuncture, physical therapists place acupuncture-like needles in the center of the muscle knot or trigger point to create a small lesion and release the contraction. Physical therapists, including those at Akron Children’s, are using it on injuries to the back, neck and hamstrings, among others, for athletes and even non-athletes, in some cases to speed up rehabilitation. This week, I visited in studio and spoke with 1590 WAKR morning show host Ray Horner about this new technique, which many insurance plans cover. HORNER: Dr. Joe Congeni, kind enough to join us in studio again this morning. Joe, where do you want to start this morning? DR. CONGENI: You know, I want to start with a new technique, newer-used technique. Uh, you know, gosh listening to you, uh, rattling off all those things you’re talking about, you are the most informed guy in Akron, Ohio. HORNER: [laughter] I try to make the listeners informed. DR. CONGENI: It’s very hard to stump you about anything, but I asked you before if you’ve heard of a technique called dry needling. A lot of physical therapy centers are using it and it can help athletes. So, of course, we want to use it if it’s something that can help athletes, and we have one of the better dry needle physical therapists that’s on our team now that can help athletes with this technique. Uh, [it’s useful] in the area of muscle tendon injuries, where there are muscle knots or contraction knots. Muscles don’t work well when they’re scarred or contracted. Certainly massage and deep-tissue treatment work well. Medicines don’t work well. So, one of the things that, uh, people found in about 1980 was if they, uh, put a needle in to inject almost anything, even saline, which is just salt water, uh, it seemed to get better if you got the needle in the right spot in the muscle. And so, what a lot of PTs then extrapolated in the ’90s and 2000s, they used smaller acupuncture-like needles — this technique is not acupuncture — but acupuncture-type needles, [they’d] find the center of these knots or trigger points and if they get the needle injected into the area and create a very small lesion in that area in the muscle and tendon, it relaxes the muscle. And so, this is a technique that’s for people, you know, [with] back injuries, the back muscles are very large, neck injuries, shoulder injuries. All those hamstring [injuries] you’ve been hearing about? 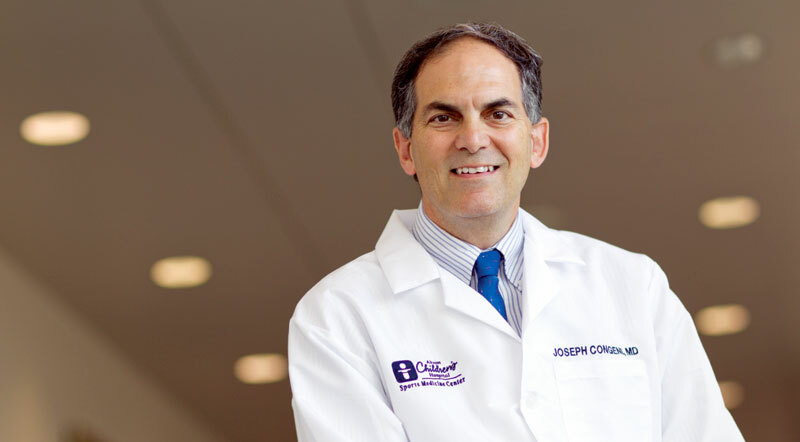 DR. CONGENI: A lot of those people … are getting dry needling as a part of their treatment. And in these knots and triggers, they’re trying to get, uh, the needle directly into that area. And, a lot of patients and athletes ask, “Does it hurt?” These are very fine, small acupuncture-like needles. They don’t hurt. They don’t cause pain. But … you will [feel pain] if they’re in the right area. You’ll feel a twitching and a release of that muscle when it’s done several times in several areas in these knots. It can release the muscle, get you working better on physical therapy; get you better. And, there is some research to show that this technique works. HORNER: So, just so I understand this and the listeners do, this isn’t something you do at halftime or at the end of the 3rd quarter if someone has a knot in their hamstring. This is something that you’re doing during your rehabilitation from some of those injuries. HORNER: Because I imagine it’s delicate to get in there. DR. CONGENI: It’s pretty delicate. DR. CONGENI: It is very important to know where to get it. So now, it’s kinda fallen into the physical therapy realm and a lot of therapists have taken up this type of therapy for certain muscle injuries. In Ohio, uh, licensed PTs are allowed to do it. In most states in the country, [PTs can do it] with 3 exceptions: New York, California and Florida, PTs cannot do it. There’s a lot of debate between acupuncturists and chiropractors and PTs, but the point for us is it does seem to work in certain situations. In a lot of these muscle injuries, these big muscles where you see muscle knots and contraction, you can release those contractions and the athletes can do a lot better with it. So, if it’s something that’s beneficial, [why not use it]? For instance, we do have a lot of hamstring [injuries] not only on our Cleveland teams, but a lot of high-school athletes I’ve seen recently. That might be an athlete who would be amenable to getting treatment with dry needling. HORNER: Okay, so that’s interesting. DR. CONGENI: Yeah, new technique. HORNER: And, it speeds up rehabilitation with that for sure. 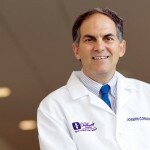 DR. CONGENI: It definitely speeds up rehabilitation, and there are some nonathletes who have [benefitted from it] where nothing else has been working for them with back and neck and, uh, even treating some … tension headache, muscular-type headache issues. So, it’s really become a technique that a lot of people are talking about and it’s a hot topic right now. HORNER: For someone, I’m just thinking out loud here, Joe, who’s an avid golfer, uh, my age or 40s, 50s and that type of thing who constantly gets the lower-back issues with golf, is this something they could look into? DR. CONGENI: This is something without question they could look into. Just wanting your listeners to be informed as they always are, this is a technique a lot of people are talking about. People’s eyes get wide when they go in to see their PT. They may say, “Hey, I’m gonna try a new technique called dry needling.” I just want you to be aware of it. … PTs are using it. It is covered, uh, through most insurances if they cover your PT practice. Just like if they do deep-tissue massage or things like that. It’s another technique that PTs can use. HORNER: But do your research, as Joe mentioned. It’s a delicate, uh, procedure so make sure you look into it properly. Alright. Dr. Joe Congeni from Sports Medicine Center at Akron Children’s Hospital joining us live in studio.